A new voice that arm-twists the reader to not merely listen but to think, this book, mainly an acute investigation of human relations, challenges conventionalities and flouts expectations on many fronts. Tulsi Badrinath's debut may well turn out to be an event. A moving portrait of an Indian mother, mixing her parental feelings and her search for the divine. and ritual, dance and music go hand-in-hand with the routine chores of bringing up children, and running a house. The Book Review This is an elegantly written book about life in upper-crust Adyar, (Chennai) where the jasmine flowers flourish, and ritual, dance and music go hand-in-hand with the routine chores of bringing up children, and running a house. The servants are often sharply delineated in their various jobs, each with a clear Identity, with language as the only real mediating force between those who serve and those who are served. Men and women have sharp divisions between them in terms of the visible duties of office, and the concentrated routines of kitchen, cleanliness and child care. Modernism does not infiltrate this divide, the segmentalization seems total, and the women are burdened more heavily. In this world, looking in, one sees that women are loved for just that, for being mothers and wives, and while conjugal love may seem diminished by prioritizing house and children, the men expect it, demand it, and will brook no question. The protagonist's mother says to her very tellingly, 'Look at me, I married a philosopher, You tell me, in all these years how many stimulating, intellectual conversations did we have? Mostly, your father would complain about ants on the dining table or why his dinner was not ready on time' (p.211). A cyclone sulks at sea, a compressed whirl of energy waiting for the right time to approach. At night the wind tears through the city, uprooting old venerable trees that have the temerity to stand upright in its path. The next morning, those huge trees look like toys flung by a bad-tempered giant, broken in play. Huts have collapsed, hoardings crumpled like paper, fishermen are lost at sea, and water maroons the residents of low-lying areas near the River Adyar. In our garden, the jasmine creeper has been torn away from its support, it lies on the ground, folded upon itself, everywhere leaves and branches lie broadcast. Rain pours incessantly from a sky grizzled with clouds. It is gloriously cool (p. 151). Fiction always mediates between truth and reality, embroidering as it goes along, and accompanying it is the forgiveness of clan members who may recognize themselves as more than cut-out characters. For the first part of the book, regret for one's fate is larger than art, but as we proceed, the sense of authenticity and clarity become more vivid. This is Adyar, this is the enclave of the wealthy with good manners and taste, where the most avid or the most avaricious may be hidden in daily dealings by tacit understanding that 'we do not discuss this'. Tulsi Badrinath writes of the loneliness of those left alone to carry out responsibilities, without being judgemental about the lack or loss they experience. Yes, they do feel it, they are miserable, but civility demands acceptance on all sides. She also captures the sense of children growing up with a sense of their own doom, protected by the family, but needing constant care, where love is not enough, but responsibility is an even larger domain. If you do not have a maternal Instinct, would you be even more careful than others who do? This is a very sharp question, and it cuts into the heart of the book. Those who are aware for instance that they have cerebral lesions work very hard to simplify their life. They cut out everything that complicates and muddles, they make lists, they throw out everything which complicates. A survival instinct might just be annoying for others, but sometimes it's rationale becomes evident over a period of time. For Tulsi Badrinath, her character's lesion is her art, and while she lets the dance performances go, her writing will not let it die. Through the writing she informs us what it is like to remember (not only that lost love, her peripatetic husband) but also the moment of tranquility achieved in dance, the moment of fulfillment which may never be repeated. That is the mystical moment, and the protagonist discovers it in the retelling of the myths, of Shiva, and Punyavati, of Krishna and the theft of butter, of Adi Sankara and his mother. These stories weave interestingly through the work, (while the dread bulk up by child rearing is for me the routine spaces of everyday existence, made more difficult now with war zones appearing like dragon's teeth) these mythic spaces are platforms for further conversations. Not surprisingly one of the key characters is Thayee, who is an abandoned woman, resilient in her old age, collecting empty milk packets, and making her living by selling old bottles and newspapers. The Adyar housewife, too perfect in her housekeeping, sees in Thayee a mirror opposite, but in some odd rendering the who is so derelict becomes holy. This is not startling at all, because the closeness that upper class women often feel to their women Servants is a symbiotic space of shared duties, compounded by the acceptance of hierarchy and difference. Thayee it not just a servant, but is central to the story, in terms of her independence and her fortitude. The Nadars and the Fisherpeople who work for the brahmins of Adyar communicate a sense of their own vitality and personhood. Two languages meet, and a common dialect is sometimes forged. It is somehow, outside of politics, outside of mutual contempt. So many were she times scared me, lying on the kerb with her lifeless appearance. Then she would turn or straighten a leg and the knot of worry would come undone. I search for a woman with white hair, dragging herself about in a garment the texture of dust. An unlettered woman, a woman leaning against nothing but God. I find a broken bucker, neem flowers on the ground and an absence. Had that been a body, had there been the finality of death, then it would have fed the very elements once her voice had entered the fire, returning, what had rust proceeded from them- her breath mingling with the air; her eyes reaching the brilliant sun; the mind speeding toward the full, effulgent moon; hearing to all the directions; the self dispersed in ether; the hairs of the body to be the aromatic herbs, the silver mass on her head to the trees; and fluids, blood, to the waters of the earth. The name alone would have remained (p.234). It is this odd ability to reach confluence that Tulsi Badrinath gives us, where mortality and immortality are a skein In the writer's hand. Seasons, work, the heart of the city and its handful of people (she writes of what she knows) encased in the unusual pod of words, brings to us the final understanding that for the dancer, the guru is the ultimate reality, the unachievable and the perfect. The dancer, the guru is the ultimate reality, the unachievable and the perfect. (And like all books which have success in the West, an elephant appears in due time!) Heat, light, fragrance, love and disillusionment, the tenderness of loving friends, relations and parents, the wonderful winter festival of music and dance in Chennai - this is the sense of confluence that the writer brings to us as her granary of received wisdom. Susan Visvanathan is Professor of Sociology at Jawaharlal Nehru University, New Delhi. verses from the Upanishads and biographical texts of revered Vedantins that liberally intersperse the narrative are a pleasant surprise. This allows the author to travel in time and history and connect the vignettes to the present time and the physicality of the storyscape. Aditi inhabits and traverses many worlds in her search for meaning of her role and identity. She is a well-educated, well-informed, Vedanta-inspired, independent woman and introspects periodically on her various roles as daughter, friend, wife and mother and an empathiser of an abandoned woman. The storyline is fairly straightforward. There is hardly anything unusual about a plot that engages with a young woman's concerns about her married life and motherhood which unfold a sequence of disappointments and frustrations. Aditi marries a person of her choice and has a baby who becomes her central focus as she tires to raise him single-handedly. The narrative throws up unusual challenges to the reader as Aditi sometimes goes into overdrive in her internal dialogues with mythological and historical characters to seek and find understanding, parallels, and solace. At times the joy of reading gets overwhelmed by cross references and requires a dogged approach to get through to the end. Badrinath wanted her novel to reflect her life as an Indian and wanted it to be about India. Like her protagonist, Badrinath is a young mother, spiritually and philosophically informed, a trained Bharatnatyam dancer who loves to write fiction. So far, this bears up with her ideas of what she wanted to do with her story. The storyline and its conceptualisation, however, suffer from weak ideation. Aditi struggles through her period of motherhood in trying to raise a baby who is a handful. She is disillusioned in her relationship and finds it hard to cope with being a single mother living in her parental home. The Juxtaposition of Thayee - an old, abandoned mother of four who lives on the street - with that of Aditi adds an interesting contrast. The only thing that ties them is their individual isolation and the fact that both live their lives in total surrender to what comes their way. The part of the insensitive husband is meant to lend support to why Aditi feels abandoned and distraught when overworked and tired with the baby. This somehow does not wash. Mothers all over the world are the primary nurturers and caregivers, even in bonded relationships. Her frustrations with not having her husband around for emotional and physical support cannot justify a full novel. It is her choice that Aditi rejects outside help and becomes a fulltime mother. The conflicts and insecurities are her own as she remains a dutiful daughter and unchallenging in her husband's life decisions. This novel needs a sequel to see how the situation gets resolved. Motherhood and a spouse indifferent to child-rearing is hardly what exciting fiction is made of. What saves and enlivens this narrative are the beautiful verses from spiritual treatises cleverly interwoven with the running story. But if Badrinath is looking for a global audience then she will unfortunately fall into the trap of using spirituality to attract a foreign readership. Fortunately, the book had a detailed glossary and references pages. The novel must be read not so much for its complex ideas but mostly to feel its inner fabric of soft and calm vibrations of positive resonance. Is maternity a boon or a curse or a mixture of both? At a time when the English-educated, jet-hopping, PC-savvy younger generation is scratching India's religion, spirituality and economic condition with a desecratory itch, it is refreshing to find Tulsi Badrinath reveal the infinite possibilities of consecration in the same material. She has chosen one atomic particle in this vast sea of Indian culture: motherhood. Is maternity a boon or a curse or a mixture of both? Is it woman alone who becomes a mother? Does a man never become a father? Meanwhile let us sanctify motherhood! I wouldn't call Meeting Lives an unputdownable book. The reading calls for cogitations now and then, mulling over a legend, a quote, a phrase. And the apt citations from Devi Mahatmya to start and stop the chapters. Adroitly doing parikramas around familiar icons like Karaikkal Ammaiyar, Bhuvaneswari Devi, Jabala and Aryamba, Tulsi draws us back repeatedly to the narrative in one long present continuous. To fling a vast, all-comprehensive look at Swami Vivekananda's writings or the voice of M S in one breath and then turn to the plastic surgeon in the hospital or the unkempt Thayee in the garden is done with ease, leaving behind no ragged edges. There lies Tulsi's triumph with a prose style which yet trembles on the edge of poetry. So many mothers and their children. Just as Avvaiyar said that humanity had only two castes, Tulsi also gives a neat division for global motherhood in the reverie of Aditi about her mother and her son: "It is a strange irony of life. She spoilt me with her love, in the sense that I could never bear to accept the idea that there might be uncaring mothers. I spoilt her in the same way; she looks at Sanju now and is unable to see how a child might not be in exact harmony with its mother, configured to match her energies, her need for space." Meeting Lives strains to be heard as poetry, precisely because the novelist has given spaces for the reader to fill up with his imagination. Not a very easy thing to do, as most of the time Aditi has to put up with the mundane happenings in this world of human affairs. Like her son's constant rushing around and getting hurt. Or his serious questions: "Why doesn't Shiva Bhagavan change his clothes always?" However, everything is in its place, probably because the heroine is not unlike her creator. A dancer knows that she cannot afford to show stagefright, she cannot stop midway in the dance because the decorated 'rakkodi' on her head has come loose, and she must not stop smiling through even the most intricate jatis. Aditi's training comes in good stead and her emotions are kept shut up from the public eye, even from little Sanju. He must not get hurt emotionally. Physical hurt can be cured by a plastic surgeon but one's mind does not get a sympathetic physician on the platter. It is the dance being performed by thousands of talented girls like Aditi who put their promises in cold storage for a while, when the child grows up. But then, can one's talent be un-freezed successfully after 10 or 12 years? Writing itself can be a therapy for such girls. Perhaps it was for Tulsi Badrinath. Anyway Meeting Lives could help girls floundering in an identical dilemma. Do not lose your connection with your talent. Be like Thayee who deftly tears the coconut pinnae, collects the stalks and makes brooms. Be stolid. Retain your self-respect as Thayee does. DNA Beautifully illustrated, Meeting Lives is a must-read for mothers, sons, daughters and, definitely, husbands and fathers. DNA What it means to be a mother? Mothers are generally taken for granted. Alternatively, they are deified to such an extent that the day-to-day effort of rearing children is lost in a halo of veneration. Dancer and writer Tulsi Badrinath's presentation of motherhood is refreshingly realistic. Written in a fluid, ballet-like form, Meeting Lives focuses on the nitty-gritty of what it means to be a mother. Whether it is Swami Vivekananda's mother who had to forego her claims as mother so he could attain sainthood, or the bedraggled, abandoned Thayee, it has not been easy for any of these women to be a mother. Aditi, the protagonist of the book, has been brought up by a doting mother to be an independent young lady. "Even if you get into the worst sort of trouble, come to me," her mother has always told her. "We will sort it out together. Somehow." Reassuring words that have ensured that Aditi has had the most wonderful childhood; and yet it had not prepared her for life as a single mother. When her emotionless husband, for whom his career is all, re-locates to France after depositing Aditi with their son at her parental home, she ponders on the irony of her situation, "It is a strange paradox. I, who treasure solitude, have found myself alone in a marriage and very alone in bringing up my child. It wrings from me the kind of strength that I do not want to possess." Extremely moving words these. Motherhood is not only about blissful fulfilment; rearing a hyper-energetic child, round the clock, single-handedly, can leave you feeling very drained. While Aditi copes with the help of prayers, her once-happy-go-lucky friend, Aasha, pops Prozac. At a reunion of old classmates, Aditi notices that all of them share a common predicament, "Of once having been independent, earning an income, of wanting to make something of our lives but finding it more difficult than we had imagined." But the book is not just about difficult choices and full-time, energy-draining mothering. Bringing up Sanju has many a delightful moment as well. "'Maa. Maa.' He nudges me urgently. 'Does Ravana have one big pillow or ten pillows under his heads?'" Presenting a holistic picture of what motherhood entails, Badrinath has painted even tales from mythology with the brush strokes of realism, ending with the story of a mother who cannot give her child his father's name. "The deep and limitless ocean of love" is what she gives instead. Adopting his mother's name, the child, Satyakama Jabala grows up to be an enlightened sage. The Jabalopanishad is attributed to this son of an unwed mother. Uplifting examples all, perhaps this is the ultimate recognition of the significance of a mother's role. The cover painting of a mother and her baby on a swing, by Buwa Shete, illustrates the narrative perfectly. Looking down tenderly at her little one who sleeps contentedly on her shoulder, the mother has to take her child with her even as she soars gently to greater heights. Beautifully illustrated, Meeting Lives is a must-read for mothers, sons, daughters and, definitely, husbands and fathers. Alpana Chowdhury is a freelance journalist and writer. Indian Express On some pages, this novel is about its protagonist Aditi's everyday existence. Other pages transport you to other worlds. Indian Express The spiritual agent of change. Imagine a world where Swami Vivekananda and Adi Sankara are topics of drawing-room conversation, where pregnancy leads a woman to philosophize after reading the Brihadaranyaka Upanishad and the Garbha Upanishad, and where the myths of Markandaya, Krishna or Karaikkal Ammaiyar serve as reference-points in casual contexts. Imagine this world located within an Indian English novel. Meeting Lives, dancer-writer Tulsi Badrinath's debut novel, longlisted for the Man Asian Literary Prize 2007 tries and succeeds in this impossible feat. Aditi is the beautiful, dutiful daughter parents pray for, she's an acclaimed dancer who has given up her artistic pursuit for the sake of bringing up her son, she's married to a selfish man she once loved, she's sympathetic to Thayee, the homeless woman in the neighbourhood - on some pages, this novel is about its protagonist Aditi's everyday existence. Other pages transport you to other worlds. Reading this novel, like most spiritual pursuits, calls for sustained effort, immaculate patience and the dogged belief that the promised end is within one's reach. In an email interview, I point out to Tulsi that this is not the kind of fiction that one encounters daily. She is candid in her reaction: "That is a real compliment because I feel very strongly about the kind of rubbish that is being published these days under the name of literary fiction. This book was a reaction to such books that I could not connect with and yet were supposed to be about India and my life as an Indian." Responding to a question about the extensive presence of philosophy in her novel (quotations from Swami Vivekananda's letters or Adi Sankara's treatises), she says, "I was disappointed while reading a lot of books that were supposed to be about the lives we lead in India because they seemed to completely ignore several aspects of our culture and the fact is that our lives are steeped in the spirituality of the land, whether we believe in god or not. "I knew I wanted to map both the geographical space we live in and this spiritual space we live in, though I did not formulate it that way in my mind. I was delighted, therefore, to read one day that Raja Rao had said that in India we inhabit a horizontal geographical space and a vertical spiritual space - or words to that effect. Aha, I thought to myself, that's exactly what I want to depict but I'll have to find a way to do it." Surely, Tulsi has taken the road less travelled: Every chapter starts and ends with a verse from the Devi Mahatmya, the religiosity is unmistakable even in the glossary that runs to more than 70 words. I want to know how much of Aditi is autobiographical. After all, like Tulsi, she is a dancer, she is also seen writing a story and her father is a Vedanta specialist. Tulsi clarifies, "Aditi is not me. The book is not autobiography in that sense, however I would say that writing by its very nature is autobiographical as the author's own perceptions and experiences come through in the guise of fiction." But the novel is not about Aditi alone. It devotes considerable space to little Sanju, her restless, energetic and accident-prone son, who asks some of the wisest questions contained in this book. In my search for layers of meaning, I ask Tulsi why he is always being fed some kind of food in literally every scene in which he puts in an appearance. She points out, "I think Aditi is very fearful that if she does not feed him enough, he will not thrive (she cannot even say the word 'die' but the fear is there). As Sanju's mother, at this stage in his life she is responsible for maintaining his annamayakosha..." As a subtext, Tulsi adds, "all this is at a subconscious level." While depicting the relationship between Aditi and Sanju (Mother and Son), she also draws out the relationship that great sanyasis shared with their mothers. I am keen to know what made her choose these diverse stories. "I wanted to explore the strong connection we have to the myths we have grown up with," Tulsi says. "I also wanted to explore Vedanta and one way to find a link between the theme of motherhood and Vedanta was the strong bond both Adi Sankara and Swami Vivekananda had with their mothers, a link that technically ought to have been broken the day they took sanyasa. So it was enlightening to read in the many biographies of the Ramakrishna Mission monks that they went beyond this technicality to the true essence of Vedanta, making arrangements to care for their parents whom they had left behind on taking their vows. The other angle was that I did not want to limit my novel to Aditi and Sanju's story. I wanted to suggest all mothers and their children, generation after generation. One way was to move across eras and centuries." It is surprising that in a culture which celebrates motherhood, Tulsi has cautiously exposed that being a mother can be tiring and trying. We observe that Aditi's pursuit of her creative arts career comes to an abrupt end when she becomes a mother. Since Aditi's frustration almost echoes Alice Walker's in these respects, I ask the author if she would label Meeting Lives a feminist novel? Tulsi disagrees that it was written as a feminist novel. "It was written from observations of life, as a woman, as a mother. The reason I focused on this unspoken aspect of motherhood was because I felt all the girls of my generation who had grown up and become mothers...my friends, strangers who talked to me... were struggling with these feelings but could not express them openly regardless of whether or not they had a career to follow." Meeting Lives highlights the fact that women like Aditi are not alone. Her best friend Aasha faces a similar predicament. Yet, they are different - Aasha survives because of Prozac, and Aditi because of prayer. Does Tulsi then think that prayer, in our present society, has been reduced to its therapeutic powers? "No, I don't mean to suggest that," she says. "It is scary to me that the only way Aasha could cope was to accept the prescription of Prozac. Aditi is luckier in finding her way out through prayer." Unlike philosophical arguments, this novel is left open-ended. Though the selfishness of Murthy, Aditi's husband, is brought out in a subtle manner throughout, Aditi refuses to take any course of action that will confront/challenge him. Tulsi explains, "I think she is slow in reacting and slow in assimilating all that is happening to her. That is why towards the end it seems to her that all the time life is unfolding and it is only from the standpoint of the future that one can make sense of it in retrospect. So her action lies in the future, beyond the scope of the book." The urge to see Aditi as an agent of action and change is constantly present. How then, does a reader come to terms with her inaction in the face of familial discord? Perhaps, by assuming that Aditi finds solace in the non-dualist philosophy that the phenomenal world is itself illusory! Meena is a writer and translator whose debut poetry collection Touch was published in 2006. Sawnet Meeting Lives, by Tulsi Badrinath, Niyogi Books, India , Review by Mridula Murgai, 8 December 2008. Meeting Lives is a book that traverses the lives of three generations of Aditi's family. As the synopsis of the book on its cover states " Who is Aditi?" Her various personas - such as that of a daughter, a mother, a student and a friend, and her "process of self-discovery " form the essence of this book. Tulsi Badrinath is herself a multi-faceted person. She acquired her Bachelor's Degree in English Literature from Chennai, and then went on to do her Master's in Business Administration from Ohio University. After working in a corporate environment for four years she quit to devote herself to her writing and her dance. She is an experienced Bharatnatyam dancer, and has given many solo performances. Throughout the book you see reflections of the author's many facets. The main protagonist Aditi is also a dancer, but one who has given up her own career to be a fulltime mother to her young son. The plot moves back and forth between the many periods of Aditi's life: her childhood, where the story of Vivekananda is interwoven into her father's narrative; her training as a dancer, learning the intricacies of a performance; and her life as a wife and mother "trying to articulate her emotions in a cultural ethos that sanctifies matrimony and deifies motherhood". Tulsi Badrinath has a beautifully simple style of writing and she slips through many eras and generations seamlessly. It takes a few seconds to realize that you have traversed many years in a new paragraph, but then each generation and time period seems to bring a new story forward. The depiction of Thayee, a homeless woman, who is the other main character of the book, has been done eloquently. She reminds us of all these people who we see on the roadside, the ones we do not notice or let intrude into our daily lives. Here she seems to begin and end the narrative of Aditi's life. Meeting Lives is Tulsi Badrinath's first novel. It is an impressive debut, and we look forward to her writing as she matures and hones her skills further. This first book succeeds very well in involving the reader, because the readers are drawn into the life of the protagonist and somewhere may find shades of their lives as wives and mothers. She writes about Vasudeva and Kamsa and Devaki - as a story refined and woven by Aditi and ends it by saying "Imperfect though it is, there is the sense of having wrested something of permanence from the day, something that will last ". This is a book that needs to be read slowly, with love and care, since it moves from the story of Shankara to that of Vivekananda to that of Aditi's son, Sanju. Enjoy the style of writing, and the narrative of many eras of Aditi's life interspersed with the Upanishads and vignettes of Hindu mythology, as I did. Mridula Murgai is a part time freelance writer and a full time wife, mother, and grandmother (though not necessarily in that order). Books are her lifetime companions and they have influenced the core of her life in many amazing ways. First City Magazine The fragmented fissures of a dancer-mother-woman's life, told in an earnest, searching tone. First City Magazine A first person narrative of a dancer who thrives on the rasa of her art - something that she's recently put aside to devote her time to being a mother. Meeting Lives traces the journey of a protagonist who's questioning her decisions at some points, and reveling in them, at others. Fleshing out the surreal joyride of motherhood, especially in the early stages, when everything's desperately fulfilling, the narrator describes her highs and lows and self doubt and anger, in a stream of consciousness style. She wonders if her son, on growing up, will only remember her as a monster (the kill-joy whose favorite word was 'no'), and she grabs your sympathy, as she puzzles over such no-exit dilemmas. She mulls over her life-decisions in her extremely exhausted state of mind and body, and how some were imposed on her, and some she took of her own free will. Other people (Amma, Murthy, Thayee) remain peripheral characters, except for the pipe-smoking, Vivekananda-quoting, parable-gyan-giver, Appa. The fragmented fissures of a dancer-mother-woman's life, told in an earnest, searching tone. Jetwings Magazine Written by a danseuse, Tulsi Badrinath, 'Meeting Lives' truly is a debut that is far from today's ordinary ones. Jetwings Magazine Written by a danseuse, Tulsi Badrinath, 'Meeting Lives' truly is a debut that is far from today's ordinary ones. Badrinath has based her book on the process of self discovery that can largely be called the theme of this book. But the interlacing of mythological references, Indian value systems and heritage calls for a distinction. The protagonist is Aditi, a dancer who is now adjusting to the role of a wife and of a mother to her precocious son Sanju. Aditi's life is now an amalgamation of so many such parts and she is now trying to fit all of these to create a cohesive, comprehensive whole. The story moves between three generations but does so seamlessly. language, visual imagery, and the manner of presentation. The Eclectic Magazine In a society largely governed by certain traditionally held and seemingly rigid values, it is not often that a writer questions those and succeeds in weaving an interesting tale. Meeting Lives is an interesting exploration of such values, questioning those aspects of traditional societies which are considered taboo, and author Tulsi Badrinath uses a powerful style to take the reader on a journey into the recreation of the protagonist Aditi's life. The narrative is easy and flowing, yet taut; it might lead the reader to pause and wonder what exactly she means to convey. Yet, there are instances where most women and especially married women (who have often given up their career for domestic peace and maternal concerns) will certainly identify with the plight of Aditi. The inner urge and passion to follow her heart makes Aditi go back to her dance. But in doing so, she is plagued with unending questions that make her wonder whether she has made the right decision in choosing to follow her desire. The protagonist's continuous duel between pursuing her dreams, and whether or not she is becoming selfish, runs through the entire story. At one point, she asks, "In placing one's child at the centre of one's life, does one displace oneself? Does the progression from being self-centred to being selfless as a mother, necessarily involve a loss of self?" And again, consider the following statement: One moves from lower truth to higher truth, not from error to truth. Meeting Lives explores many facets of the mother-child relationship, and in the process touches a chord somewhere. The author makes an attempt to juxtapose instances drawn from Hindu mythology, thereby leaving the reader to draw her own conclusion. Having been longlisted for the Man Asian Literary Prize 2007, the book is also a literary delight in terms of language, visual imagery, and the manner of presentation. For it makes you sit back, pause, question, and try to look within. Not many fiction writers succeed in doing so. But Tulsi Badrinath blends it well, and indeed shows a lot of promise. Jaipur Literature Festival 2009 at a session titled 'The Dancer and the Dance'. A philosophical novel. Fine and challenging literary fiction. A picture of the "real" India, complete with real characters. Marks a new turn for Indian fiction in English. Intellectually stimulating, and... emotionally iridescent. Harihar Arora: second-generation north Indian in Madras, museum curator, indifferent husband, indulgent father and thief. Desperate to meet his beloved daughter's wedding expenses, the otherwise honest Harihar steals a rare gold coin minted by Mughal Emperor Jahangir and pawns it, with every intention of returning it after the wedding. But when he finds himself in a position to redeem it, he learns that it has been melted by the pawnbroker. What follows next forces Harihar to readdress his place in the world, and in his own marriage. Beneath the deceptively simple surface of a story about an ordinary man in a rather extraordinary fix, are questions about the workings of karma, causality and the power of art, that offer profound matter for debate. The Hindu A second novel is a litmus test for an aspiring writer. The first novel is usually filled with autobiographical inputs, but the second? A repeat performance could fall flat if it adopts the reminiscential mode. There is, of course, the standard mix which can be tempting but will certainly land the author into the slot of a time-pass writer. So how do we view Man of a Thousand Chances ? Tulsi Badrinath's Meeting Lives was more of a soft remembrance of domestic imbalances trellised by India's cultural artefacts. Man of a Thousand Chances attempts a complex tracery of a coin thief's feverish movements to get back the stolen gold into the museum. Like Paris of Victor Hugo's The Hunchback of Notre Dame, and Tiruvanathapuram of Neela Padmanabhan's Pallikondapuram , the metropolis vies with Harihar for the hero's slot. However, Tulsi remains focussed on the North Indian element in the multi-coloured, multi-flavoured Chennai society. Stealing a rare coin struck by Jehangir is quite easy for Harihar Arora, as he is an assistant curator in the Madras Museum. As one belonging to an extended family of traders, pawning it is not too difficult for him either. The quirky charm of the novel lies in Harihar not being a hardened criminal. A typical, honest middle-class fellow, he needs the money to celebrate his daughter's wedding grandly and prove to his relations that he should not be dismissed as one belonging to the salaried class. Understandable, as his little son had been lost in the mazes of Chennai years ago. This is a stand he must make and we get to have a festive show. "Don't ask, yaar, I'm going mad. You should have seen the plates the caterer brought. Filthy, dented stuff. I told him to take it back and get better ones. He says he will only put up two counters. I told him he better put up four or I'll cancel his contract. How will two counters serve dinner to all the people?" But the pressure of time brings the marriage to a happy conclusion and the daughter is given a send-off by the moist-eyed parents. The problem remains. Will Harihar be able to replace the coin in its place or would he be exposed as the coin-thief? We cannot swish the pages fast, since Tulsi has gone for a basket-weave construction maintaining a parallel bond between Harihar-Sarla and Lodha-Kumar. "The tiger poised to attack him was the fear of discovery; the fire, the loss of all his money; the hunter, Lodha placing him in the greatest jeopardy by depriving him of the coin and the deep river waters the shame and ignominy in which he would drown ... Divine grace had ensured that like the doe had delivered her calf, he had steered Meeta into her new life." Man of a Thousand Chances marks a new turn for Indian fiction in English. Intellectually stimulating, and yet emotionally iridescent. Almost every movement in place. The bronze Shiva of the Museum did deserve Harihar's hug. For once, the Destroyer had become the Preserver! Business World: Just when one was about to give up on (most of) Indian fiction in English as being too clich�d, self-conscious and stereotyped, along came Tulsi Badrinath's Man Of A Thousand Chances. Set in contemporary urban India, it is a beautiful story of life in an Indian metropolis, characterised by its demands of tradition and modernity, made remarkable precisely because of the sheer ordinariness of the characters and the little moments that make up their lives. Harihar Arora, son of a Marwari businessman settled in Chennai and Assistant to the Curator of the Madras Museum, is about to embark on one of the momentous events that mark the life of an Indian householder; the marriage of his only daughter. Unfortunately, such an occasion calls for a specified number of ceremonies and an elaborate ritual of gift exchange, failure to comply with which would result in a significant loss of face; but compliance means huge expenditure, which Harihar cannot afford. A desperate Harihar decides on a daring and equally desperate plan: he steals-"borrows", rather-a rare, historical gold coin minted by the Emperor Jahangir and pawns it, with every intention of redeeming it at a later date, when money he had invested in a new fund reached maturity. However, when that day dawns-not before several disturbing revelations and nerve-wracking moments-the pawnbroker, who had himself been duped into "lending" the coin to a ruthless collector, informs Harihar that the coin had been melted for gold, in an attempt at some face-and reputation-saving of his own. A distraught Harihar, staring at certain disgrace and ruin and unsure of what to do next, decides to place his life in the capricious hands of fate, while pondering on the vagaries of life and the mysterious workings of karma. Badrinath is certainly not the most skilful of writers ? while there are some lovely descriptions and memorable moments, there are several awkward turns of phrase and punctuation errors too. But what makes Man Of A Thousand Chances a good read is her gift of characterisation- every person in the story, even the most minor one, is sketched in loving detail. The very ordinariness of the characters makes them very real, and therefore immediately accessible and easily identified with. Badrinath's book is not set in some quaint village that exists only in the author's imagination; nor is she writing about beauty pageants or the lives of the jet-setting rich and the famous. Her book is about people like us, with worries and concerns and pleasures that are all too familiar, laced with a lot of sympathy and none of the condescension that one would find in the works of a less empathetic writer. She draws out the little, routine moments of everyday life-a cosy little family dinner, mother and daughter sitting together to admire the shine and dazzle of new clothes, annoying colleagues-in a way that makes even the mundane remarkable. Any good work of fiction is marked by the attention it pays to the socio-geographic location in which the story is situated; in this novel, the city of Chennai comes alive, with its colours, smells, sights, bustle, problems, cuisine and idiosyncrasies. From the water problems plaguing the city's inhabitants, turning the arrival of the water tanker into a momentous event, brightened by the colour-coded vibrant buckets each household brings out especially for the occasion, to the noise, slush and cheerful activity of marketplaces, to the descriptions of hope and joy surrounding the yards of shimmering cloth in saree shops, to the crowded beaches on weekends-everything serves to make Chennai not just the backdrop, but an important part of the story, perhaps even the central character. Of the other characters, perhaps the most endearing is Meeta, Harihar's beloved daughter. Her innocence and sweetness, and her joy at her impending wedding and new clothes, tempered in equal parts by fear and trepidation, are beautifully captured. Badrinath's characters are never black or white-Harihar himself is a male chauvinist of his times, and not averse to adultery if the opportunity presents itself; so while he evokes sympathy, his shoddy treatment of his wife, Sarla, also arouses intense irritation. She is possibly the most complex character in the book?an undercurrent of pain forms the sub-text of all the events in the Arora family, the pain surrounding the inexplicable disappearance of Harihar and Sarla's young teenage son Ratan. He is the invisible fourth member of the family, conspicuous by his very absence, informing every relationship, every thought, every action of his parents and sister. It is to Badrinath's credit that she never dramatises this heartbreaking episode in their lives, but allows it to stay in the background for the most part, as it possibly would in any real family. For anyone with even a remote interest in history, the descriptions and discussions around coins, miniature paintings and sculptures in the Madras museum will be a pleasure to read. Explained at great length by the curator, Mahadevan, these episodes add to the reader's cache of knowledge. However, the chapter devoted to a discourse on karma and rebirth vs responsibility and accountability, designed to bring about clarity to Harihar's ethical and moral dilemmas, flags a bit. It's an interesting issue, no doubt, and one we have often wrestled with, but attention tends to falter when Mahadevan's monologue continues for a few pages without a break. And while Harihar's coming to terms with himself and his actions, and his changing equation with Sarla, seems a bit abrupt, the end, even though it seems to tilt on the side of fate, is satisfying enough. The publishers would do well to invest in a copyeditor, though-even good books can lose their charm if commas in the wrong places make you cluck-as they make me- with annoyance and lose the thread. Because a good read this certainly is-Badrinath has pulled off the rare feat of painting a picture of the "real" India, complete with real characters, without resorting (much) to stereotypes. During the reign of 17th century emperor Jehangir, gold coins were minted for the king's beloved wife Nur Jahan. She became the only empress to have her own coinage without ascending the throne. One of the biggest Mughal coins, the 1,000-mohur, weighing around 12 kilograms was also minted in this period. This coin found its way to the coffers of the Nizam of Hyderabad, Mir Osman Ali, and is now locked away in a Swiss vault. It is one such coin that becomes the karma leash of Harihar Arora in Man of a Thousand Chances. Weighing two kilograms and worth millions, the coin is in a Chennai museum where Harihar works and hatches the plan to "borrow" it. As Harihar's colleagues watch mahouts trying to control an enraged elephant, he steals the Jahangir coin and rushes straight to the pawnbroker. Having pawned the invaluable piece for `2 lakhs, guilt-ridden Harihar goes home to his wife Sarla and soon-to-be-married daughter Meeta. Harihar is determined he will return the money and restore the coin soon after Meeta's wedding. Harihar notices his wife's crumpled sari and preoccupied look. He resents her transformation from the shy woman who would greet him at the door wearing fresh clothes and a special smile. He recoils at sight of her tooth that had turned blue and could not be cured because of the money involved. As his daughter displays before him the purchases of the day he is drawn into a labyrinth of memories. The story of how his father had moved to Chennai for business unfolds. Harihar's estranged relationship with his elder brother Ashok had led him to move out of the family business and the family house. He had then found a job at the museum and a mentor in his boss Mahadevan. From Sarla's angle, the world looks different. The fact that she trades in shares has been kept hidden from her husband all these years. He believes she spends her time trying to sell plastic kitchen boxes and "getting nowhere". That, however, is far from truth. She has a mind and flair for business and is able to earn some money out of it. Another hidden name arises as we hear Sarla's story: Ratan, the son who had gone missing and was never found. Despite all the years Sarla grieves for her lost son and somehow holds Harihar responsible for him. A second generation north Indian in Chennai, Harihar's household is a queer mix of traditions and language. Sarla's learns bits of Tamil from her maid and the family works out a part-Tamil part-north Indian menu for the wedding. With sufficient cash at hand now, Harihar buys his wife and daughter saris of their choice. He has invested in a fund which will come to maturity soon after Meeta's wedding. From this Harihar plans to buy back the coin. While the wedding is in progress Harihar gets to know that the fund managers are unable to pay back investors. On the other hand, the coin is spotted by a collector who recognises it's real value and takes it from the pawnbroker. The pawnbroker tells Harihar the coin had been melted down. Dejected and beaten, Harihar is sure the loss of coin will be discovered anytime soon. Fate, however, has several surprises in store for him. Not only does he escape being accused of theft but is also able to mend his decaying relationship with his wife. While one might think a second chance can make a world of a difference, this is the story of the man who gets a thousand. Caught in the storm of affairs surrounding his life, Harihar makes desperate attempt to make sense of it. His boss and mentor Mahadevan helps him connect the dots between karma and destiny. As Mahadevan takes him through a tedious journey from Gita's karma to Schopenhauer's will, Harihar emerges a man ready to take charge of his tumultuous life. The Man of a Thousand Chances is Tulsi Badrinath's second novel. She has made an attempt to bring together aspects of karma and art. She is unable, however, to weave the theme into the story. The exploration of karma and art by Mahadevan towards the end stands aloof from the rest of the narrative. It is also hard to believe that a mere lecture could induce a major change in Harihar. However, Tulsi has a keen eye for detail and her portrayal of family life is seamless. Be it Meeta stealing glances at the picture of her fiance or the husband, wife and daughter filling their weekly store of water; the descriptions are warm and colourful. One finds it hard to reconcile how a man may get so many chances while the others struggle for a single go. If we were to believe the words of Harihar's mentor Mahadevan, that's where karma comes into play. The story moves through pensive scenes without breaking into a common laugh at the face of destiny. While to a simple man like Harihar Schopenhauer may be too much to understand, humour can provide the perfect umbrella to take shelter from the moods of karma. After all a coin is as much a slave of karma as the man who carries it. The Week The book begins like a crime thriller, proceeds somewhat in the fashion of Crime and Punishment, but is really a philosophical thriller. Tulsi Badrinath's second novel, Man of A Thousand Chances, explores many ideas relating to Indian art, the psyche of an art-collector, and the role of free will and karma in life. Raja Rao the philosopher novelist once said that we occupy both a geographical space and a vertical spiritual space in India. "I want to map both these spaces in my writing," says Tulsi. In her first novel, Meeting Lives, she explored the philosophy of vedanta in daily life. In Man of A Thousand Chances, she explores karma. Even when she is writing about abstract ideas, she blends them into a story that is well-written and rooted in the details of ordinary middle-class life. Harihar Arora, the protagonist, seems to lack the intuitive craftiness that allows a middle-class man to survive urban life in a city like Chennai. When he steals a valuable Jahangir-era coin from the museum where he works, as a reader, one's first reaction is to be alarmed at his foolhardy behaviour. However, it is true that a lot of artefacts from our museums have found their way into private hands. Harihar pawns the coin, expecting to pay back the pawnbroker very soon and return the coin to the museum. This harmless act, he thinks, will help him conduct his daughter's wedding. But things don't go the way he plans. After many twists and turns, Harihar achieves his aim and escapes being caught. But his son, Ratan, is missing, and it takes a while to understand that what Tulsi might be suggesting is that Harihar has suffered in advance for his crime. He tries to make sense of his life and seeks answers from his boss Mahadevan, only to be told "God does not figure in the theory of karma, so it can seem very, very harsh". This part can be read again and mined for fresh insights, depending on the reader's own understanding of life. While the philosophical pondering is done well, the role of the hijras in the plot and the fate of the missing boy are left unfinished. The book begins like a crime thriller, proceeds somewhat in the fashion of Crime and Punishment, but is really a philosophical thriller. 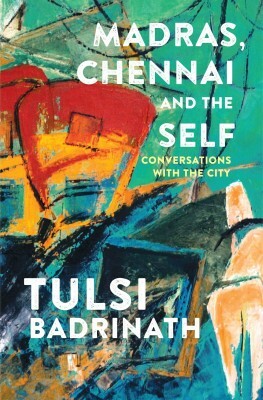 The Book Review Tulsi Badrinath has produced another elegant work, which explores the urban map in new ways. The Book Review Purse and Persuasion. Tulsi Badrinath has produced another elegant work, which explores the urban map in new ways. In this novel, she brings to our attention the banality of middle class chores and the concern with the details of these. It is the contradictions within the facade that interest Badrinath. Essentially, she has the eye of the passerby, but that passerby has been for decades looking into the hearts and lives of a North Indian diaspora community living in Chennai. The intimacy with which the map of Mount Road or other familiar mnemonics are created in this novel is interesting. Harihar, the nondescript clerk, who is assistant to a curator at the Madras Museum, steals a gold mohur which weighs two kilos, and which has exquisite calligraphy and images embossed. The coin was struck by Jehangir, who minted gold coins in dedication of his love for his Queen, Noor Jehan. She was a very powerful empress in Mughal India, who left a monument to her warrior father, filigreed in marble and semi precious stones, which still stands in Agra for us to see. Harihar steals the antique coin because he needs to have an extravagant wedding according to custom for his daughter. They belong to a wealthy clan of spare parts dealers who have shops near Mount Road. His choice of a profession in the Government is because he cannot bear the company of his overbearing brother, who has cheated him. The novel works with the idea that ethics and moral choices face everyone equally. Tulsi Badrinath provides a multi-tiered text to discuss what she's most interested in which is the discussion on karma. She falls into her familiar low voiced murmur about how Hinduism is about living, the calculations of the past and the future coalescing in the often unthinking present. The female characters are often very staid, though they do unusual things such as make phulkas and fry ladies fingers, while playing secretly on the stock market. Several females are scattered through the text without very serious intent, the focus being on the pathway that the Mohur creates as it rolls along without volition, upon in the hand of very greedy men. The mozaic of India appears very astutely in the fragmented locations in which people find themselves in. If one accepts that human beings are often venal, dissecting venality is as necessary in the understanding of corruption although fate releases the abject and willing practitioner into a desirable anonymity. However, murders, as Umberto Eco showed us in the Name of the Rose, may spill across the narrative, one too many, when individuals long for objects, beyond the power of purse or persuasion. Where does the mundane end, and the mystic begin? Where does predestination end and free will end? And where indeed does prarabdha karma end and prayaschitham begin? These are some of the questions that the author etches on our collective consciousness with the stylus of her craft in the book under review. Badrinath's love of art in all its forms, particularly of the beauty of coins, comes across very strongly, highlighted by her note to the reader, where she exhorts the reader to make a "living connection with history" through (vintage) coins. Her meticulaous research is evidenced by the description of Jehangir's coin: 'the raised calligraphy', the Persian Nastaliq script', 'the glorious sweep of alphabets compressing into this small disc an entire universe of love". This is a highly-readable book, painstakingly researched. The middle-class North-Indian-family-in-Madras milieu is meticulously evoked in great detail, though in some places, the details get a little tedious. Badrinath has a flair for local colour, ading verisimilitude to the narrataive, whether she is describing the preparations for a North-Indian wedding in Chennai, or the urban landscape. The local patois too is convincingly evoked. As one reaches the last page of the book, and closes the cover, one cannot help feeling that there are many loose ends. The issue of Ratan, Harihar's missing son, is never resolved, the accountability of Kumar hangs fire. Above all, Harihar's own predicament is left in the air. He comes across as a God-fearing, law-abiding man with a strong conscience who evolves as a more understanding man and husband. How then can he live with this grave lapse, without any qualms? Perhaps this book is not meant to have a 'conventional' all loose-ends neatly tied ending. Perhaps, as Thomas Transtomer, current Nobel Laureate for Literature said of his poetry, this book is a meeting-place between the writer and the reader, and the latter is meant to take the baton from the former. Or, perhaps, just perhaps, all loose ends will be neatly tied in Harihar's next birth, the sequel to this book. Sawnet This was certainly an enjoyable book and one that stays with you for quite some time because of Badrinath's nuanced writing but it could certainly have used a little more drama and a little less philosophy. Sawnet Harihar Arora, like many Indian fathers, is faced with scraping together enough money to pay for his daughter's wedding. As a curator in an Indian artifacts museum, he finds himself suddenly presented with the answer to all his problems in the form of a rare Mughal gold coin. Convinced that he is only 'borrowing' the coin, he takes it and pawns it to get some ready cash until the wedding is over. However, unforeseen difficulties wreak havoc with his plans to redeem the coin and lead him to reevaluate his relationships and position in life. Badrinath dives right into the story with the theft of the coin happening almost immediately. This hurried pace robs the scene of any drama or significance. In fact, I initially skimmed over this part without realizing it, thinking I was reading descriptive material. Upon re-reading the section, I again felt the lack of any nervous build-up or anticipation and reluctantly moved on. However, once I got past the first part, the novel developed into an engrossing and beautiful story ... for a while. Badrinath is a master in describing the finer points of daily Indian life. The stomach-in-your-throat feeling of riding in a motorized rickshaw, the unspoken interplay between brothers, sisters-in-law, and husband and wife are all poignantly voiced and vividly detailed. At one point, I became so home sick for the sights and sounds of India I began looking at airline tickets. She also throws us into the typical Indian wedding scenes, bringing back to mind all those delicate glances at an unknown bridegroom and that uniquely Indian moment when the pure joy of marrying off a daughter turns instantaneously to the pure sadness of realizing you've married off your daughter. Badrinath truly has an amazing ability to capture the daily insignificancies of Indian life and meld them together in a richly evocative form to move the storyline forward. The characters were wonderfully voiced and thoughtfully drawn-out. There was not one person in the novel whom I did not actively have feeling s toward. I hated some, loved some and felt compassion for many of them but Badrinath's writing made them so real that it was easy to form an opinion on the character and life of each person. I suppose a critic could say that Badrinath uses stereotypes to populate her novel but who cares??? Almost all of us are stereotypical in some ways and Badrinath's genius is using those stereotypes to base her characters and then providing unique details to flesh them out. Here comes the addendum. As the novel wraps up, we get a lengthy lecture from one of the ancillary characters on karma and fate and I don't know what else. It almost felt like Badrinath got tired of writing and decided to end it on a whim. There was a ribbon of Harihar's search for life's motivating forces throughout the novel but it certainly did not feel like the overarching point of the book. And there was certainly not enough to warrant a wordy and in-depth discourse that served as a conclusion. As with the beginning of the novel, I felt that these scenes were disjointed and did not match up with the rest of the novel. Overall, Badrinath is fantastic at relaying the nuts-and-bolts of the story through her characters but she definitely falters in the more intense parts of the novel. In those scenes, she loses the drama of the moment in the mundane details of everyday life and we lose out on the thrill of an emotional roller coaster. This was certainly an enjoyable book and one that stays with you for quite some time because of Badrinath's nuanced writing but it could certainly have used a little more drama and a little less philosophy. The Sunday Tribune Racy in parts, with its ordinary surface level persona and the sublime undercurrents keeping the reader riveted to those chapters. Badrinath excels in painting scenes with words. Is life just a series of accidents and coincidences or a beautiful tapestry each weave of which unfolds a sublime plan? Is man a master of his destiny or a slave of past karma? In her second novel, Man of a Thousand Chances, Tulsi Badrinath enters this tricky territory vacillating between existential and fatalistic philosophies. Harihar Arora, a second-generation North Indian museum curator in Madras is Badrinath's ordinary, honest and principled protagonist who steals an antique gold coin from the museum to get some cash for his daughter's wedding. Harihar finds himself in a bind when he first finds that he has lost all sources of redeeming the coin due to a fraud money fund and later when the pawnbroker, to whom he had pawned the coin, tells him that he had melted the coin.In her second novel, Man of a Thousand Chances, Tulsi Badrinath enters this tricky territory vacillating between existential and fatalistic philosophies. Harihar Arora, a second-generation North Indian museum curator in Madras is Badrinath's ordinary, honest and principled protagonist who steals an antique gold coin from the museum to get some cash for his daughter's wedding. Harihar finds himself in a bind when he first finds that he has lost all sources of redeeming the coin due to a fraud money fund and later when the pawnbroker, to whom he had pawned the coin, tells him that he had melted the coin. The multi-level narrative is racy in parts, with its ordinary surface level persona and the sublime undercurrents keeping the reader riveted to those chapters. Badrinath excels in painting scenes with words. Whether it is the excitement and hectic activity of an Indian wedding, the well-plastered chinks of a joint family or of a marriage or the life in Madras, with its queues for water tanker, shops and markets or beaches, all are portrayed beautifully and simplistically by Badrinath. But then there are times when the narrative drags, as the author tries to give a voice to the subtle undercurrents of spiritual dilemma as Harihar gets gyan on karma and destiny from his boss Mahadevan towards the end of the book. As the dialogue meanders from Krishna's karma sermon to Schopenhauer's power of "will", one wonders how Harihar can get an instant soul makeover from Mahadevan's words. In the similar vein, the author's bid to add twists and turns to the plot add artificiality to the whole tale. Elements like the CBF fraud, Sarla's sudden luck in the share market, Harihar's dalliance during his daughter's wedding, and the murder of the pawnbroker seem concocted and author takes little pain to convince the readers about these making one stretch the limits of credulity to go on. Characters of Harihar's wife Sarla, daughter Meeta, too, are typecast - the unexciting, untidy and sometimes careless wife and an obedient daughter. And then there is the author's unabashed effort to give a clean chit to her protagonist, to give Harihar his thousand chances as the four days of incessant rain in the end hint at the Deluge and the birth of a new life, a new world as Harihar, the man of thousand chances get purged of guilt - guilt of stealing a valuable antique and of not doing enough to trace his son. But she has very deftly woven the numismatic element into the tale and the detailed stories of different coins are engrossing as the author uses the art and spirituality connect to link the past with the present. The underlying contrasts and comparisons are striking as one sees a subtle hint. An antique is lost, a theft which no one discovers, this is just like Harihar forgets his principles to steal Jehangir's gold coin and no one in his family or friend circle comes to know of this convoluted side of his character. The loss of the coin is discovered only when a bigger theft takes place in the museum making one wonder if Harihar's indiscretion would also be revealed in a larger context one day. Why do the just and innocent suffer for no apparent fault of their own? And why do some people get away with murder most foul? Why are some blessed with more money than they know what to do with, while others are forced to lead a hand-to-mouth existence? These and allied questions, which most of us wonder about at some point in our lives, are examined in the course of this novel. At first glance, middle aged, greying, careworn Harihar Arora seems anything but heroic. Striving to rise above petty joint family rivalries where he is the underdog younger son, Harihar secures a job as assistant to the curator of the Madras Museum. He struggles to make ends meet on a modest salary, and plug the unforeseen places from where his money leaks away triumphantly. In addition to these commonplace tribulations, Harihar's only son Ratan disappeared mysteriously, several years ago. All attempts to trace the strapping young man have failed, yet Harihar, his wife Sarla and daughter Meeta cannot face the fact that Ratan may be dead. Harihar now focuses his love, resources, and even his life's ambitions, upon arranging a grand wedding for his darling Meeta and securing her future happiness. The basically honest Harihar steals a rare gold coin minted by Jahangir from the museum and pawns it for ready cash. He considers this a loan, and has every intention of redeeming the coin after the wedding. Soon his life's savings, deposited with the City Benefit Fund, will mature with a hefty interest. Meanwhile, the wheels of fortune turn against Harihar and thousands of innocents like him, as they lose everything to scamsters running the bankrupt City Benefit Fund. With ruin staring him in the face, Harihar bravely pulls off Meeta's wedding, hiding his inner turmoil from his loved ones. While performing Meeta's marriage, his brain throbs with the foreboding of impending doom. Yet he is pleased to note how handsome and cooperative Meeta's bridegroom is. "A dreamy light in his eyes touched a sensitive chord in Harihar by reminding him of Ratan. He struggled to quell the unbidden wave of grief swamping him but had to openly wipe his eyes." His only solace is Meeta's happiness. Can Harihar redeem the priceless coin from the pawnbroker and save his honour? This selfless love raises Harihar above the common herd, as does his appreciation for the priceless works of art in the museum. The author deftly draws us into a sense of intimacy. We empathise with Harihar and wish him to succeed. Harihar and the other characters are finely drawn. They come across as convincing, real people with flaws and amazing strengths. Harihar's wife Sarla, for example, is at first glance a nondescript, not too educated homemaker. Yet, it is she who comes up with surprising resources to support her husband in his darkest hour. The other relatives, with their mix of rivalries, grudges and goodwill, could be members of our own extended clans. It's difficult to like Kumar, the maniacal coin collector, or even relate to his crazed obsession. But this fits in with his sinister role in the story. Harihar is by turns both a victim and a mover of his own fate. Beneath the beguilingly simple surface of an interesting story are deeper philosophical questions which Harihar, and by extension, the reader, are compelled to examine. In the end, Harihar sees that "life, despite the worst of circumstance, was not a prison. Each day with every single thought and act of his, he was building his future lives. If he paid attention to the now, he would ensure an excellent, though indescribable, later." As this well-crafted, smoothly written novel draws to a satisfying close, a long and contrived diatribe on karma breaks the flow. From pages 275-287, Harihar's erudite boss discourses on whether only fate, or human will and effort, counts in the course of human life. This detailed philosophical commentary breaks the dramatic impact of the novel, and drives home a little too strongly philosophical ideas permeating Harihar's story. Mid-day Written elegantly in simple prose style. Mid-day Mughal Emperor Jahangir's gold coin is stolen from a museum. What happens next? Read on. The book is centred on an ordinary, otherwise honest working man, in an extraordinary problematic junction in his life. Harihar, who works in the Madras Museum steals a rare gold coin minted by Mughal Emperor Jahangir in order to fulfill an age old Hindu responsibility of a father, i.e. to marry off his daughter. He decides to pawn the artifact only temporarily, and to return it after the wedding but finds himself in a fix when he realizes that the coin has been melted and used by the pawnbroker. Harihar Arora, the 'man of a thousand chances', is a second generation North Indian who lives in Chennai is engaged as the Assistant to the Curator at Madras Museum. His family consists of his wife Sarla and his daughter Meeta, whose wedding he arranges by pawning the gold coin. Harihar does not share a great relationship with his wife. The plot is made interesting by the fact that Ratan, the couple's son went missing four years back and they are constantly in anxiety to find him. This is Tulsi Badrinath's second literary venture and is written elegantly in simple prose style. The first being Meeting Lives in 2008. The daily life of a middle class family has been clearly depicted in the novel and is central to the theme of the book. Harihar holds a grudge in his life towards his wife because he believes she does not keep the house in tact alone, along with herself. All she is concerned with is cooking and putting food on the table on time. He silently recalls days when she "would greet him shyly at the front door, dressed up in a fresh stretched saree, matching bangles ... yearning to go out somewhere with him"; she's past it and wanders their rented apartment with "hair twisted in a thin plate ... one of her crumpled house saris on". The ordinariness of middle-class existence puts t beat the parts on the girl's wedding, which is widely covered in the novel. Badrinath does well to represent the entire ritualistic process of a 'big fat Indian wedding.' She describes in some detail the colossal effort in putting together a satisfying Indian wedding. How does Harihar manage to redeem himself of the sin of stealing and also carry out a huge traditional responsibility of giving his daughter's hand in marriage, well, do read and find out. The book does also go on a philosophical tangent by exploring ideas of karma and free will. All in all, a present and light read. DNA Harihar, one of the more interesting protagonists in recent Indian fiction. The character cast of Tulsi Badrinath's Man Of A Thousand Chances sounds more like the setup to a great punch line. What do Mughal emperor Jahangir, the Chief Elephant of the Big Temple, a graduate bride-to-be, and a Chennai pawn agent have in common? The answer is Harihar, one of the more interesting protagonists in recent Indian fiction. A man past his prime, Harihar is the picture of middle class mildness: a museum curator who must marry off a daughter in appropriate splendour. The action opens with Harihar committing a life-defining act - he steals a rare gold coin minted by Jahangir (a coin that was in his possession for safekeeping at the museum), and pawns it. This is meant to be a temporary tap and Harihar fully intends to restore the coin. What follows is an overlap of plotlines that Badrinath would have us believe mimics the operation of karma. First Harihar discovers he is on the verge of financial ruin. Then he finds that it is no small matter to collect the coin even by paying for it, as it has attracted the attention of a predatory numismatologist. Meanwhile, his mousy long-suffering wife has achieved a measure of independence that will change his life. It appears that the universe is teaching Harihar an important lesson, and this isn't the first time either. The tragic disappearance of his teenage son is a loose thread that dangles through the book, attracting the question of karma like static. Why do bad things happen to good people? Why do good people do bad things? Badrinath writes a compelling novel, only to pull up short and discuss the meaning of karma, which is something of a leap from the entrancing ordinariness she details of sari shops, water tanker episodes, and family jaunts on the beach. Even more jarring are the fantastical historical jaunts Badrinath sends her villain on; they would make a magical realist blush. The prose could be improved: word selection and grammar seem slapdash. Yet Man Of A Thousand Chances somehow endures in the imagination, just as its inviolable hero does looking fate in the eye. One of the ten most thought - provoking and intellectually - satisfying books of the year. Told with sensitivity and an insider's knowledge of the unique relationship between a student and guru that classical training instills in a person. Definitely a book worth reading. Creating a space where none existed, V.P. Dhananjayan was one of the first men to make a successful career as a Bharata Natyam dancer. It is only recently, in the relatively short span of the past seventy years, and to a great extent because of the creative efforts of versatile and innovative dancers like Dhananjayan, that greater numbers of men have performed Bharata Natyam as men; without needing to dress as women to appear on stage. Weaving her own life-long passion for Bharata Natyam with Dhananjayan�s remarkable story, and that of six other dancers, Tulsi Badrinath brings to light the difficulties faced by a male dancer. The Week - Engagingly told, the book is about traditions that are fast disappearing. Time is just one of them. The guru-shishya parampara is another. There are many reasons to read this book. That it is a book on Bharatanatyam is not one of them. Nor that it is about a famous dancer, V.P. Dhananjayan. It is worth picking because it talks about a person�a male dancer�whose story mostly remains untold. While the book is primarily about her guru, Badrinath also weaves in stories of other men trapped in an image because of the art that they chose to specialise in. One of them is Charles Ma. Born to a Naga-Assamese mother and Nepali-Chinese father, he was brought up in Bangalore. Like lots of young boys, he was into drugs and rock and roll before learning to �dance like a man'. In her book, however, it stands still. Indian Express - Easy to read and made more pleasurable by the performative writing that relives moments, inner thoughts, and outer identifications of time, place and actions. Like many dances, this novel has a double narrative streaming through it. Both stories are of journeys into dance, but generations apart. One is the writer's personal journey into dance and the other is the story of the lives of her teachers, the well-known and remarkable dancing duo Dhananjayan and his wife Shanta. This device of two simultaneous parallel stories, makes for an interesting juxtaposition of perception through different generations. The life experiences of the Dhananjayans are presented as if being recounted to students who include the author. Through this device, we learn of the couple's necessarily clandestine and subtle courtship in contrast to present perspectives on life, dance, and the changing norms of acceptable behaviours. Apparently, although Shanta was attracted to a young Dhananjayan, she never revealed it, until she was about to be married to someone else. Her courage was to be rewarded. Fast forward to many years later when Dhananjayan is recounting to his students, now all dancers themselves, his early experiences in America. When he and Shanta would arrive the hosts would be surprised to find that the partners on stage were married. They would ask Dhananjayan how long he had been married. He would respond 20 years. "To the same wife? ", people would incredulously ask. This, of course, has Tulsi and her colleagues convulsed in giggles. But the book is more than a gush fest. The reflexivity of the writer makes it readable, as she interweaves her memories with those of her protagonists. While gender is invoked, the book presents an uncomplicated and rather one-sided view of dancing males, despite including interactions between Dhanajayan and his male students, such as the talented Narendra Kumar, B.K. Shafeequddin and Aspi Mullah. But these shortcomings are to be expected from an authorised biography. However, these interactions with dancers bears witness to the changes in the dance scene. Time Out - Told with sensitivity and an insider's knowledge of the unique relationship between a student and guru that classical training instills in a person. Tulsi Badrinath learnt bharatanatyam from Shanta and VP Dhananjayan in a different time from now (when resumes were not given much importance), and in Madras (a bastion of the classical). She never left them, or it, barring a few years spent working in a bank. VP Dhananjayan, one of eight children, born into poverty in Kerala, made his way to Kalakshetra in Tamil Nadu, in search of a better future than what his native village promised. In Kalakshetra, because he was a boy, he was taught kathakali intensively, not bharatanatyam, because the temple origins of the dance dictate that it be performed by women. But Kalakshetra being Kalakshetra, and, run by doyen Rukmini Devi Arundale, its rigorous training and schedule ensured he absorbed bharatanatyam as well, performing small roles in productions where men were required. It is here he met his future wife and partner on stage, Shanta. Badrinath chronicles their acrimonious parting from Rukmini Devi and Dhananjayan's choice of a future in bharatanatyam as borne out of pragmatism and harsh realities. We learn of the couple's early struggles with money and lack of opportunities to display their talent; their setting up of a dance institution; the subsequent fame and recognition achieved; and the training of innumerable students in the guru-shishya parampara. All this is told with sensitivity and an insider's knowledge of the unique relationship between a student and guru that classical training instills in a person. Interspersed with the story of the Dhananjayans is the author's own journey, as a north Indian daughter of an IAS officer posted in Tamil Nadu, in the world of bharatanatyam. From her first day at the dance class, to the punishing and relentless practice that improves posture, gait and position of hands, feet, knees and elbows, that spans years of hard work, culminating in the "arangetram" or the first public performance that a mature dancer presents to the public, it is evident that Badrinath was captured - spellbound a little, even - by what she was learning. This feeling is similar for many young dancers, and it is what keeps them going, keeps them with it, rather than it being a summer course, or something to be finished before a child enters academic-oriented school years before proceeding to enter a profession. Badrinath describes with rare candour the difficulties of pursuing the art professionally, and even if one has "connections". These are not things written about in the art community, for fear of angering patrons, or for the danger of being disregarded for insufficient gratitude at being given an opportunity to perform. The only offence Badrinath can be accused of is a mild ovverreach in the title of the book - for it is about much more than men in classical dance in India (anecdotes and experiences are provided by Charles Ma and Navtej Johar, among others). It is more about the Dhananjayans, about the journey of any ordinary student who enrols herself/himself in any dance class, about the uncertain highs and lows of an artist's life, about the poverty of our cultural institutions, and how the art cannot be let go of once it has captured the heart; each topic deserving a book of its own. Certainly, to paraphrase the author herself, this is no limp literary excursion by an ex-banker. Instead, it is worthwhile reading for every practitioner and would-be-practitioner of the form. The Hindu - It is the denouement though that is best described. Tulsi describes Dhananjayan as Thyagaraja, with four male dancers looking on. She is one among the audience; an ardent devotee of his dance. The morning after his performance as Thyagaraja, �grey hair freshly shampooed, he enters class at BK dressed in a simple white veshti and cotton jubba� Not knowing how to tell him just how superb he was, we burst into spontaneous clapping. This is my continual good fortune; that the lord of dance whom I beheld yesterday is my guru�. It has probably got to do with the fact that Chennai-based Tulsi Badrinath, author of Master of Arts: A Life in Dance, is also a dancer. In many ways, the cover � a mirror with V.P. Dhananjayan looking into a reflection of his son, Satyajit, lining his eyes with kohl � is its central imagery; a peek into the past from the present; an introspective commentary on a world that was, and that is; a narrative that attempts to string together stories that have common links in terms of incidents, issues, concerns or identities. In a sense, the cover is also indicative of what the book sets itself out to be: a �narrative about male dancers and the world of Indian classical dance�. Only, male dancers are mere mention, occurrences, incidences, flitting in and out of chapters, sharing stories and struggles of the world of a male dancer in classical dance in Chennai, and India. The book�s real preoccupation � obsession even � is its hero, V.P. Dhananjayan, the �Sir�, who emerges in all his fierceness, finery, fieriness, and frankness, through every chapter. The book�s rhythm � alternating between Dhananjayan�s story from the time he as a �14-year-old, penniless and unproven, boarded a train at Payyanur for Madras in 1953� and the author�s own induction into dance as an eight-year-old into Bharata Kalanjali, a school of dance founded by the Dhananjayans � allows its readers a comfortable introduction into the world of Dhananjayan and his dance. If one chapter is about Dhananjayan�s fascinating journey in dance, the next is the author�s fascination for her guru and his dance. Often, Dhananjayan�s principled, overpowering voice overshadows that of the author. Humour is also integral to the fabric of the book, especially in chapters where Tulsi recounts, with exacting detail, sessions with Dhananjayan. Almost more than half-way through, an atmosphere of gloom takes over. Central to this is the birth and death of Bhaskara, Dhananjayan�s pet dance school project on a mountain near his hometown (in Kerala). Dancing alongside this grim tale are other nuggets from the lives of male dancers, many challenging, some tragic � like the death of Rajesh Kumar, one of Bharata Kalanjali�s best male dancers; the murder of another dancer Ravi, in his home in Chennai. These coupled with the inherent challenges of being a �male dancer� and its resultant lack of opportunities dance tug at your heart. It is the denouement though that is best described. Tulsi describes Dhananjayan as Thyagaraja, with four male dancers looking on. She is one among the audience; an ardent devotee of his dance. The morning after his performance as Thyagaraja, �grey hair freshly shampooed, he enters class at BK dressed in a simple white veshti and cotton jubba� Not knowing how to tell him just how superb he was, we burst into spontaneous clapping. This is my continual good fortune; that the lord of dance whom I beheld yesterday is my guru�. In an earlier chapter, a Muslim male dancer, Shafeek, fretting over a very revealing dance tour in the UK, makes an interesting observation: �If you have money, you can dance.� It�s a point to ponder over. But Master of Arts is not really about that; it�s simply a glorious ode to a guru; an obeisance to a teacher; a song by a sishya for her Sir! The New Indian Express - The initial years of Dhananjayan at Kalakshetra make for an interesting reading. This was the time when his way of thinking, life and identity were entwined with that of Kalakshetra. Tulsi Badrinath�s book �Master of Arts� (a life in dance) chronicles the story of one of the first men to make a successful career as a Bharathanatyam dancer � V P Dhananjayan. Dhananjayan created space for his dance where none existed, particularly in the late 60s, when there were no male dancers in Bharathanatyam and Dhananjayan could readily follow the path. The one world famous Indian male dancer Uday Shankar had evolved his own unique style, Ramgopala. But the Kathakali and Bharathanatyam exponent had shifted back to London. Bhaskar Roy Chowdhry, born in Madras, went to find his fame and fortune in America. With Madras hardly offering him any scope to perform, it was a bleak scenario. The various episodes in this book describe how a great visionary and aesthetic Rukmini Devi herself faced the problem of learning the �right vehicle of lyrics� to carry forth her abhinaya and bhava. It also describes how in Bharathanatyam, ideas expressed in a particular item ride on those contained in the verse or poem, set to raga. The text defines the areas the dancer will venture. While one can expose an idea or use metaphors to convey a basic idea, one cannot introduce ideas, situations or characters that are not supported by the song. Interspersing this remarkable tale of her guru with the stories of other young male dancers, she pays tribute to their extraordinary commitments, their talent and courage. This is an interesting question � what drew young male dancers to dance and held them within its grip? Was it passion alone or the elusive quest for fame? Or was it restricted to low income families and lack of education? The initial years of Dhananjayan at Kalakshetra make for an interesting reading. This was the time when his way of thinking, life and identity were entwined with that of Kalakshetra. How did Shanta get married to Dhananjayan? �I had an image in mind as to how a lady should be �Roopeshu Lakshmi� as I had learnt as a child,� says Dhananjayan. Dhananjayan, known for his quick-witted retorts at times, was not able to rein in his tongue. The �pay rise� question for him and other students resulted in his exit from Kalakshetra. This changed the course of his life and this brings out his �mental frames�. Though stepping into the great unknown beyond the gates of Kalakshetra was daunting in itself, for Dhananjayan, then came the choice of discipline, Kathakali or Bharathanatyam. How Rukmini Devi took to heart, the departure of Dhananjayan from Kalakshetra when she had invested so much of oneself in teaching the little child and making him a potential graceful dancer, is interestingly portrayed. How Rukmini Devi was easily swayed by others� opinion (she loved to be praised) and Dhananjayan was the only person who told her things as he saw it, reveals the inner traits of Rukmini Devi. Dhananjayan wanted to expand the way Bharathanatyam was perceived and proved that it was not just based on mythology or tied to legends and history. It had enough power in its movements, vocabulary to convey ideas, was free of religious symbolism or laden with spirituality. The book describes how they performed multiple roles and dealt with organisers taken by Dhananjayan. It also vividly brings out how Shanta visualised, shopped for and designed costumes and trained new musicians and headed the orchestra. The year 1973 was great. �We started to get many invitations to dance and started producing shows. One became ten and ten became hundred a little later,� says Shanta. It is disheartening when we go through the chapter on the role of sabha secretaries and critics. Subudu himself sent a handwritten letter calling Dhananjayan sthitha pragna. This, he considers as the ultimate compliment as it comes from the most feared critic of his time. What does it take to be a successful male dancer? Men have to have a certain calibre with the necessary physique if they are to compete with women. Unless a man totally invests in his dance, a personal journey, a rigorous self reflection, it is very difficult for him to click. Of course, the gods need to bless him with lots of luck. Dhananjayan, 73, is remarkably agile. His age matches perfectly the character he is playing � �this is the role of his life�. He now commands the stature to dance alone on the stage, his beloved Shanta on his side, moulding the flow of music to his requirements. It was not always so, this is a space he has achieved. �I am sad that my father and guru did not live to see my success that came in the seventies with an expressive countenance� says Dhananjayan. The author, who had quit her job to pursue her twin passions � dance and writing, majored in English literature from India and did her MBA from Ohio University. Hindustan Times - The three narratives, distinctive yet affecting each other, that run through the book go a good way towards demystifying the male dancer in contemporary society. Hindustan Times All male dancers are effeminate� is a clich� that has been heard for decades and despite many dancers proving it wrong it remains a stereotype that male dancers have to deal with at every stage in their careers. Along with it is the �who wants to watch men dance?� prejudice. Choosing a career in dance where the work is hugely demanding and the remuneration paltry is a difficult decision for anybody to make and it�s much more so for a male dancer. Tulsi Badrinath writes about all that and more in her book Master of Arts. The three narratives, distinctive yet affecting each other, that run through the book go a good way towards demystifying the male dancer in contemporary society. The book begins with the story of the life of VP Dhananjayan, a celebrated Kathakali and Bharatanatyam dancer and teacher. From his entry into Kalakshetra as an impoverished boy from a village in Kerala, it traces his extraordinary life. Woven into this is the author�s own story as a senior disciple of the Dhananjayans and her experiences as a dancer. The third narrative thread is about the male dancers who have been disciples of the Dhananjayans. The life of the male dancer is probably the strongest voice in the book with the other two supporting it. From the success story of one, to the untimely death of another, and the struggle that a third still has ahead of him, what unifies these men are the cultural and social stereotypes they have had to face and the harsh realities of idealism versus commercialisation. Then, there is also the son who let his parents down by choosing to not dance and another boy who disappointed his by choosing to. The stories of these male dancers are not generic tales of woe or all bitter. In fact, these are the lives of men from different backgrounds and with different struggles to face. Apart from a common struggle against stereotyping and the lack of resources, another common unifier, and probably most important of all, is their passion for dance. Some stories are quite inspirational while some left me, as a dancer, quite frustrated with the unfairness of the system that these men have to work within but constantly work against as well. Another often-skirted-around topic of discussion in the dance world is the lack of transparency of the funding agencies and the selection processes followed by the organisations that host performances. This book bravely talks of all that a dancer has to go through to get a performance slot, especially one of the coveted December season slots. On a personal level, reading this book has been like taking a peek into the human side of a larger-than-life figure and to hear him talking about his failures as much as his successes. An intimate potrait of the city's many facets. By far the best among all the writing on Madras. Those who love Madras and Chennai owe Tulsi special thanks for such a vivid and eloquent celebration of that spirit. Tulsi Badrinath creates a layered image of Chennai by narrating the stories of those who call it home,and by sifting through her own memories. In their words come alive key aspects of the city�the fine beaches along the Bay of Bengal, Fort St. George, coconut and mango trees, jasmine stalls, cricket fever, classical music and dance, the twin temptations idli and dosai, temple crowds and radical political movements. Tulsi's short stories have appeared in Namaste and Penguin's First Proof 3. Here is an excerpt from An Offering which appeared in First Proof 3. Laurie Danner had invited Gowri home for Christmas but left Mayberry earlier than planned when her mother fell ill. Gowri had a sense of great escape. Then, at Easter she invited Gowri again and this time, Gowri found an excuse not to go. Over summer she had offered twice to return to the campus, just to pick Gowri up and drive her to Riverside. Gowri was nonplussed by the invitations Laurie pressed on her. They were friendly with each other in class, but never met downtown in the evenings nor spoke frequently on the phone. Laurie had not invited her even once to the off-campus apartment she shared with her fiance, yet she was keen on taking Gowri all the way home to Riverside. Gowri did not understand. When another invitation came her way in September, just before the Fall Quarter began, she did not have the courage to say no. She accepted Laurie's invitation to spend three days with her family. They would return in time for the first day of classes. Laurie generously offered Gowri the use of her mother's washing machine to do her laundry. It was tempting; Gowri would save at least two dollars if she took her laundry to be washed at the Danners' home. Her bedsheets felt limp, almost oily, but the end of the month, when she usually washed them, was still far away. She could do her windcheater as well. But how would it look, arriving at Laurie's home with loads of dirty clothes, chaddis and all? What would the Danners, especially. Laurie's mother, think of her? Realizing, with rueful pride, that she hadn't adapted entirely to American ways, she left her laundry behind. The morning was bright and sunny as they set off. After much thought, Gowri wore her best pair of black jeans for the trip. Laurie had a car with some sort of automatic control, so that she drove with her left leg folded on the seat, right foot on the pedal and both thumbs placed casually on the lower part of the steering wheel. Gowri, who knew nothing about driving, and had seen no one else drive in a similar way, was in a state of alarm the entire length of the journey. Tulsi's articles have appeared in The Hindu, New Indian Express, India Today, The Week, Deccan Herald, Namaste, Jyotish Digest and others. Life as bitter, sweet "We eat neem flowers mixed with jaggery on New Year's day, to remind us of the bitter and sweet flavours that co-exist in life," declared Gundu Rao, one of my favourite 'uncles', as he tugged affectionately at my plait. Life as bitter, sweet "We eat neem flowers mixed with jaggery on New Year's day, to remind us of the bitter and sweet flavours that co-exist in life," declared Gundu Rao, one of my favourite 'uncles', as he tugged affectionately at my plait. 'Come tomorrow and taste some!' Never having never eaten neem flowers, I screwed up my face at the thought, quite relieved that in my family we had no such custom. The next day, I hid from him. His words however made a deep impact on me as a ten year-old, and I never forgot them. Tender flowers, jaggery freshly obtained from the harvest of sugarcane, nascent green mangoes, young tamarind pods, the very things that make up the Ugadi pachadi burst into existence in this season and herald the coming of spring. These ingredients, perishable, short-lived, combine year after year to create something eternal and deeply symbolic, the readiness of human beings to accept and ride out the ups and downs of life. It is also true that most events, even those of a terrible nature, do not recur in our lives and these flowers and fruit, newly come into existence, serve as a visual reminder that the crises and joys of yester years are transient too. If the mixture is a symbolic blending of six different flavours, equally symbolic is the fact that everyone present in the home tastes it, including the gods. By the very act of tasting, then voluntarily swallowing it, one makes it a part of oneself. Food is the tactile bridge between our lives and the world around. It is through food that we find connections, both to the world outside and the inner world that we carry encapsulated within us wherever we travel. The Taittiriya Upanishad gives us the striking image of the all-pervading Brahman immanent in each of us as the Atman, radiating outwards from the inner, the most subtle of sheaths, the anandamaya kosha or the sheath of bliss, to the sheath of food, annamaya kosha, in the shape of a human body, sthula sharira. Moving outwards from that within us which is subtle, indefinable, immense, formless we arrive at the manifest, the material, the substantial, the definite - our sentient body, formed by and dependent on food. When we look around us and see or smell or touch or hear the tangible forms of other human beings, we connect with them at the level of the material, that first sheath that is suffused with food. Thousands of years have passed since the Upanishads were written, what remains constant is man's essential dependence on food, on the need for agriculture, even in the most developed of nations. In the process of cooking food, we enter into an intimate connection with the world of the farmer, a world that so many miles away continues to sow, plant, water, transplant, reap, pluck, dehusk, winnow and then wash, prepare and cook ingredients in the same manner as us. We share in their joys, their sorrows, their celebration of the harvest, eat the fruit of their hard work. Therefore, when farmer after farmer commits suicide because of mounting debt, parched fields, it is an event that is uncomfortably close to us, though we may choose to ignore it. There is an interesting story of creation in the Aitareya Upanishad. The Brahman decided to give form to the worlds. A cosmic person then arose whose different parts became different deities or gods. They were made subject to hunger and thirst. The gods then asked for a place where they could reside, eat food. The human being was presented to them as their abode. Hunger and thirst were also assigned a place in the body, along with these gods. It was soon discovered that life could not be sustained by thinking of food, nor by hearing of food nor using any of the sense-organs of touch or sight or smell. Food had to be eaten, tasted in the mouth. Only then did food and water appease hunger and thirst. The story contains the important truth that we cannot talk about food without stumbling against the harsh realities of the world. Hunger and thirst exist, people die of famine, starvation. The question of hunger is a very disturbing one. Why is it that there are some endowed with plenty to the point of disregard and waste while there are others who have to beg food everyday in order to survive? This past year, those living in affluent countries such as the USA have had to cut down on extravagance and learn how to practice thrift. The economic crisis there has had reverberations across the globe. In India, in the recent months we have faced the most brazen terror-attack, the revelation that one of the most well-known of IT entrepreneurs was manipulating his balance sheet, the appalling death of a medical student due to ragging, the shocking break down of law and order at the Madras High Court - all pointing to a deeper malaise that afflicts us. Who knows what the traditional reading of the panchanga or almanac on Ugadi will reveal about the year to come, a year when we are going to the polls? The fact that the planet Jupiter who rules sweet tastes is in the worst position in the zodiac, conjunct with the shadowy diabolical Rahu, is not particularly heartening. I read the news everyday only to feel a great sense of frustration and inadequacy. I know that if I could act decisively on my imagination and desires, there would be no hungry children in this world, no deluded terrorists, no war, to begin with, and an entire gallery of self-serving, corrupt politicians would be air-brushed out of existence. But I have reconciled myself to the fact that these problems existed in the world long before I came into it and will continue to exist after I'm gone. And yet, while the larger events of the world may be beyond my control, where it is possible in my own life, I can work towards change. When Barack Obama exhorts people to 'Be the change you wish to see' and then goes on to hold talks with the 'good' Taliban, I wish to remind him of Aldous Huxley's words "I wanted to change the world. But I have found that the only thing one can be sure of changing is oneself." In changing oneself, beginning at that outer level of the body, the sthula sharira, that clings to ego, allows itself to be defined by desires, by the opposites of pleasure-pain, perhaps one might effect change in the world, for then we would move towards knowing the Reality that makes us One, sat-chit-ananda. The bitter-sweet Ugadi potion may well work as medicine for the soul. By imbibing it at the level of the food sheath, perhaps we work backwards through the other sheaths, cleansing them until we recognize the bliss that is our true nature, the anandamaya kosha. If we fully accept the implications of all Reality being One, then one has to grapple with the deeply disturbing thought that the same Brahman that pervades you and me, also pervades the 'butcher' of Bombay, Kasab. A friend on mine protested vehemently when I put this proposition to her. She felt a sense of outrage that there might be anything in common at all between her and Kasab. Her outrage is understandable. She refused to concede that a man who had killed so many people with utter nonchalance could share with her the same essence, the bliss of Reality. Of course there is a difference between them; the point is to understand where it lies. This is a man who allowed his hatreds, understandable to himself, to reach such an extreme limit that he forgot his human-ness, something that my friend has still retained. In Kasab, that true nature has been so obscured by successive layers of darkness and wrong understanding that he perhaps did not see the tremendous violence he was to do to himself in doing violence to others. Following the same logic, helping another human being in any way possible is to help oneself. The Bhagavad Gita gives us a portrait of the best we can become, and my friend's answer reminded me how long a journey that might be. "He who is not hateful towards any creature, who is friendly and compassionate, who has no idea of 'mine' nor the 'I' of ego, who is the same when meeting sorrow or happiness, who is unperturbed, forgiving even when provoked" - such a person might live like a lotus in the mud of the 21st century-world. But it is not easy to achieve this state, especially when apathy, ignorance and indifference can masquerade as detached self-understanding. Until such time, it might be useful to remember what the Yoga Vasishtha has to say about living in the world. What comes, let it come. What goes, let it go. I have no desire for pleasure, nor contempt for pain. Gundu Uncle is no more, but while he lived he never lost his optimism and cheer even when faced with the most dispiriting of life's challenges. Perhaps this Ugadi, to honour his memory, I will taste the bitter and the sweet.